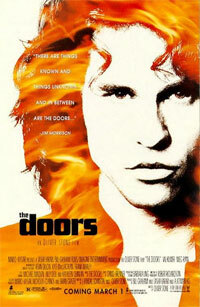 The story of the famous and influential 1960's rock band and its lead singer and composer, Jim Morrison (Val Kilmer). Following Morrison's arrival in California and his assimilation into the Venice Beach culture, to his film school days at UCLA; his introduction to his girlfriend Pamela Courson (Meg Ryan); his first encounters with Ray Manzarek (Kyle MacLachlan); and the origin of The Doors -- made up of Manzarek, Robby Kreiger (Frank Whaley), and John Densmore (Kevin Dillon). As the fame of The Doors grows, Morrison's obsession with death increases. The band grows weary of Morrison's missed recording sessions and no-shows at concerts. Morrison, meanwhile, sinks deeper into a drug-induced haze, having mystical sexual encounters with Patricia Kennealy (Kathleen Quinlan), an older rock journalist involved with sadomasochism and witchcraft. 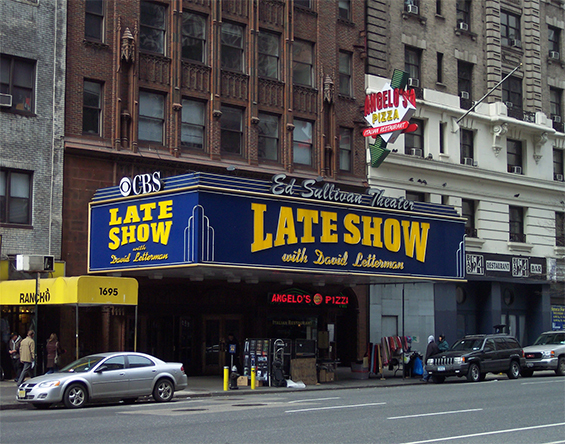 otsoNY Comments: The Doors visited New York on September 17th. They played at the Ed Sullivan Show and performed two songs “People are Strange” and their famous hit, “Light My Fire”. The Doors had been asked to change the lyric “girl we couldn’t get much higher” because you weren’t allowed to say higher on network television, supposedly a drug reference. While The Doors agreed they would change the lyric, during the live broadcast, Jim sang the original lyric, ensuring that they would never be invited back. Whilst the band were in New York, Jim Morrison also met the artist Andy Warhol.